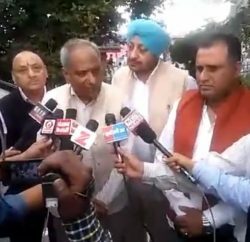 Himachal Lokhit Party (HLP) announced to support independent candidates Sudha Sushant-Fatehpur, Karnesh Jung-Paonta Sahib and Roop Singh Thakur-Sundernagar, for assembly poll. Sudha Sushant is a wife of BJP MP Rajan Sushant and has demanded BJP ticket from Fatehpur assembly segment. After denial ticket from BJP, it was speculating that she might contest election on HLP ticket, but she decided to go on her own. Her husband and senior BJP leader Rajan Sushant, who had strenuous relations with Prem Kumar Dhumal and his coterie within state BJP, was touted behind HLP formation. Even when HLP was formed, Dhairya Sushant, son of Kangra MP, was appointed president of its youth wing, but later he resigned from the party post and as well from party. However, Roop Singh Thakur, sitting MLA from Sundernagar was denied ticket this time and fighting election as an independent. His candidature has made contest triangular at Sundernagar. Whereas Karnesh Jung, an old Congress trusted worker, after denial of ticket he is in fray as an independent candidate. 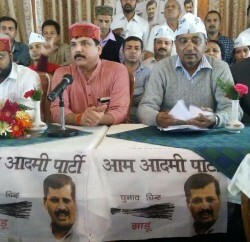 HLP state spokesperson MN Sofat said that HLP is working to oust corrupt BJP Govt from state and will further provide support to clean and honest candidates in assembly poll. 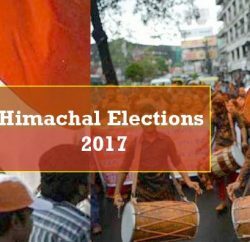 He urged party workers, supporter and other parties of Himachal Lokhit Morcha to support these candidates and ensure honest candidates to represent state assembly.